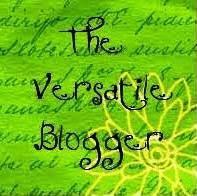 Thanks to Nomar Knight of "Knight Chills", I have now received "The Versatile Blogger Award" for the third time. The award comes with a few rules which I've never bothered with before but, since I haven't written anything for a week, I might as well do this properly. 3. Pass the award on to 5 new-found blogging buddies. 2. I don't drink coffee and even the smell of it makes me want to throw up. 3. I have a collection of Audrey Hepburn films, books, and dolls. 4. I'm a big fan of Ubuntu Linux and use it on every computer that I own. 5. I hated maths at school and have never used any of it since. 6. I am addicted to Monster energy drinks. 7. I don't have an iPhone and my iPods are cheap fakes. 1. Zombie of "Zombies Everywhere" - http://zombehseverywhereman.blogspot.com. 2. Slowdeath77 of "Horror Smorgasbord" - http://horrorsmorgasbord.blogspot.com. 3. Johnny Zombie of "Fly Paper Dungeon" - http://flypaperdungeon.blogspot.com. 4. LJ of "A Racing Mind" - http://lj-30sandcounting.blogspot.com. 5. Jenny Krueger of "Memoirs of a Scream Queen" - http://memoirsofascreamqueen.blogspot.com. If you got left out, don't worry. I'm sure that I'll get this award again as the meme continues to go around and you'll get a mention eventually. By the way, I haven't been blogging for a week due to my Netflix addiction. I've been catching up on loads of TV shows while trying unsuccessfully to install any kind of working Linux on my ancient Acer TravelMate 630 laptop. I haven't had time to watch any horror movies at all.